Home to the first mile of concrete highway, the Motor City has long-since been noted for its contributions to the automotive industry. With automobile-centric museums, avant-garde art projects, and a revolving cast of theater performers (with the second-largest theater district in the nation), Modern Detroit pays constant homage to its roots. Nicknamed “Hitstown U.S.A.,” the Motown Museum (and the genre’s original headquarters) has been preserved on West Grand Boulevard. Explore the musical movement and its impact upon Detroit through a range of carefully conserved exhibits (including the Motown piano). A big fan of the genre, Michael Jackson even donated a Fedora hat and a sequined glove to the facility in 1988. Wander through and hear the sounds of Motown, a musical movement that made waves in its world. An evolving, urban work of art, The Heidelberg Project is a showcase of ingenuity. Using everyday objects, the artist has transformed a small patch of an East Side neighborhood into a malleable canvas. With community participation encouraged, the artist has inspired an artistic movement, with polka dots at the forefront of his design. Look into booking a guided tour with the artist himself. A historic Detroit neighborhood, Palmer Woods is the perfect spot for a self-guided architectural tour of the city. With nearly 300 homes, the neighborhood is evocative of 19th century Detroit. With the streets lined in elm trees, this storied stretch is even home to a Frank Lloyd Wright design, the recently restored Dorothy H. Turkel House. Nearby is the Bishop Gallagher House, a Tudor-style mansion. The Ford Piquette Avenue Plant was built in 1904, and became the birthplace of the Model T (or, as any car enthusiast would tell you, became the birthplace of the car itself). The plant was more recently converted into a museum, and serves as a fantastic historical treat. In its day, the plant produced more than 12,000 Model Ts, and paved the way for automobile production. Go on your own or arrange a tour, though don’t miss Henry Ford’s office: the place where an impactful idea came to life. 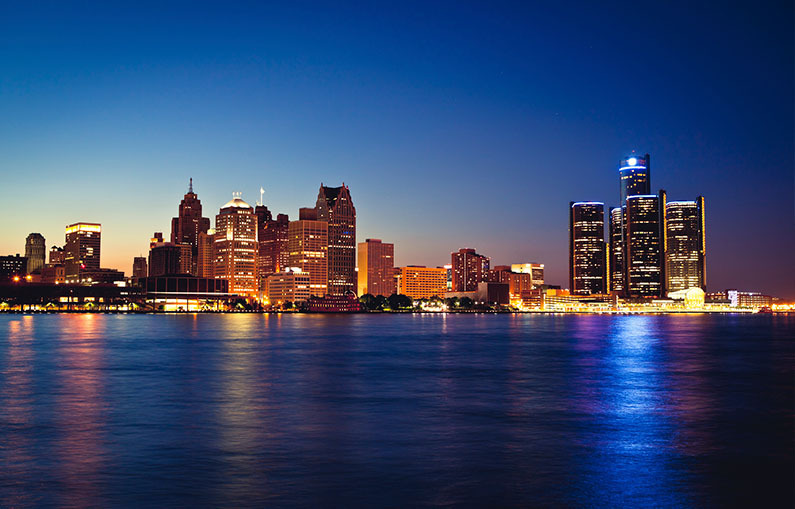 To plan your trip to Detroit or for an extended guide of things to do, visit the official Detroit city guide at http://visitdetroit.com.